At Gates and Associates, we specialize in the development and management of large scale urban and suburban areas. From City-wide or County-wide land use programs, down to individual subdivisions, we apply the same methodical strategies to our urban plans. 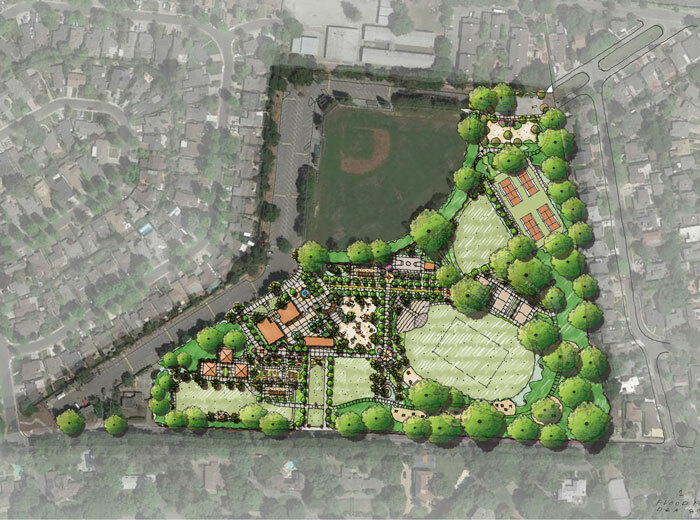 In San Mateo County, this 31 acre Park Master Plan evolved through a series of community outreach efforts, all designed to identify community values and preferred uses, program and character, as well as site layout preferences. In addition to organized outreach meetings, community opinions were gathered using an online survey. 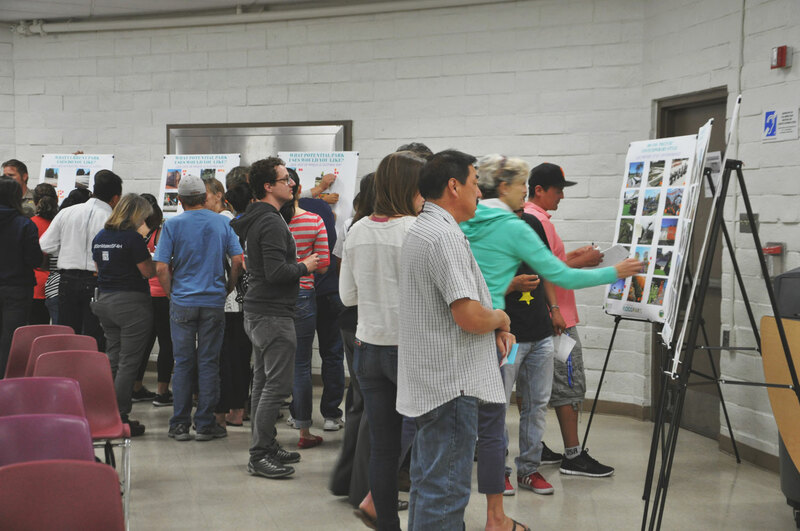 Of the three design alternatives presented, the plan that won the majority of the votes focused on three primary goals identified by the community: 1- Optimize preservation of Oak Woodland, 2- Increase offerings of sports (enhance ballfield, soccer, lacrosse) and 3- Provide a variety of uses for a range of user groups, including youth. South San Francisco currently has 251 acres of parkland. This includes 93 acres of community parks, neighborhood parks and mini parks; 28 acres of linear parks; 2 acres of specialty parks, 78 acres of open space and 49 acres of common greens. 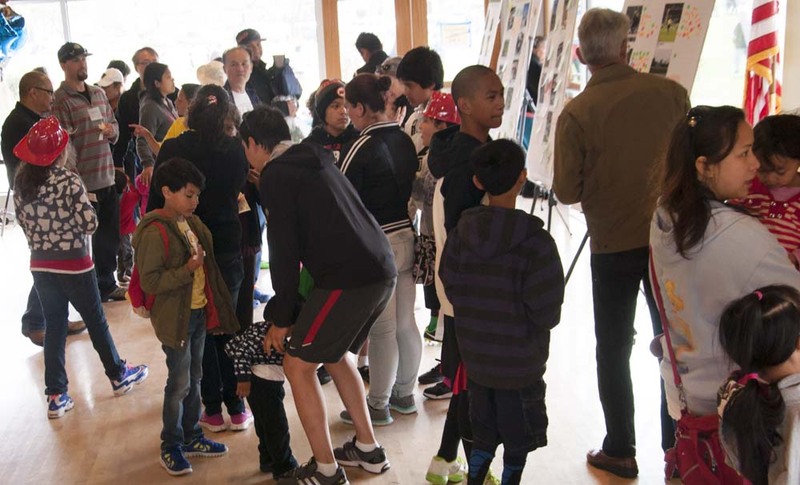 This city of 65,000 residents had been functioning on a 17 year-old Parks and Recreation Master Plan. In order to assure that our new plan would satisfy as many user needs as possible, Gates and Associates assessed a statistically valid community survey, conducted extensive public outreach, and created an interactive web presence for the City. 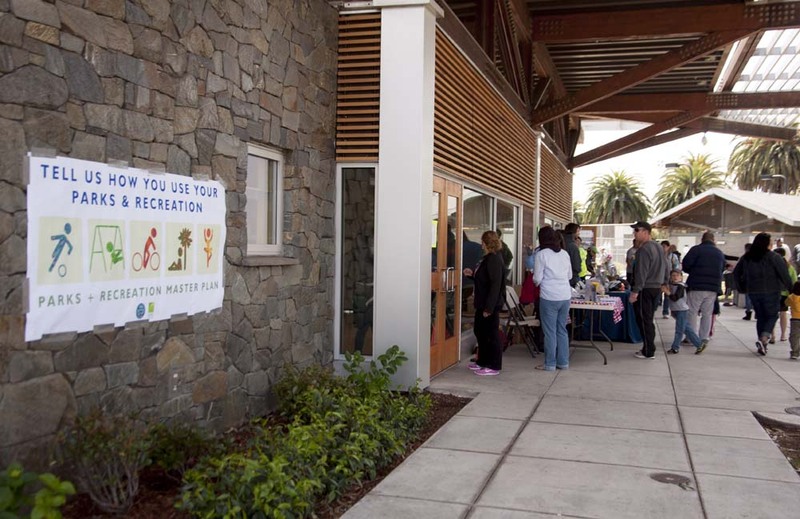 The results were incorporated into the new 2015 Parks and Recreation Master Plan. This document offers a long-term vision for the overall park system which identifies future needs, prioritizes desired improvements, and creates a strategy for implementing those recommendations. 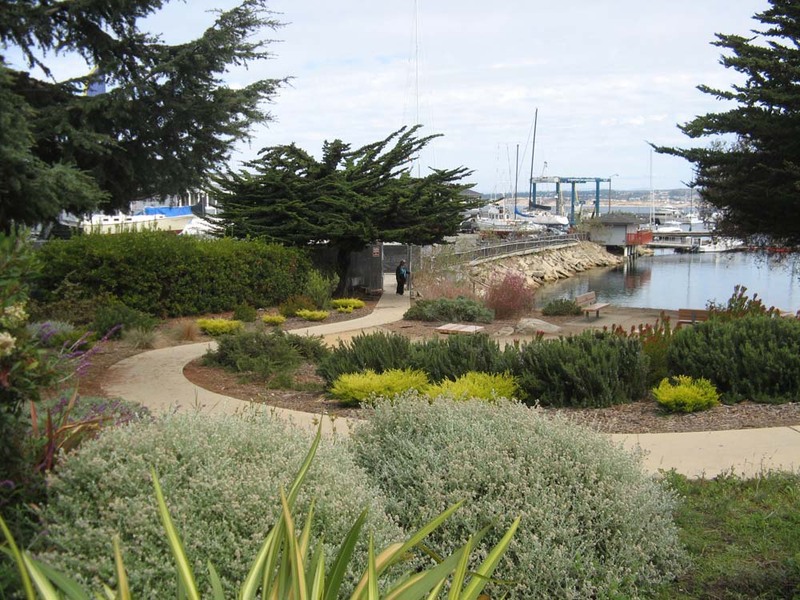 The City of Monterey’s parks and recreation system is essential to the quality of life and economic strength of the City, providing beautiful natural and developed resources for recreation, fitness, wellness, relaxation, and play for the community and visitors alike. 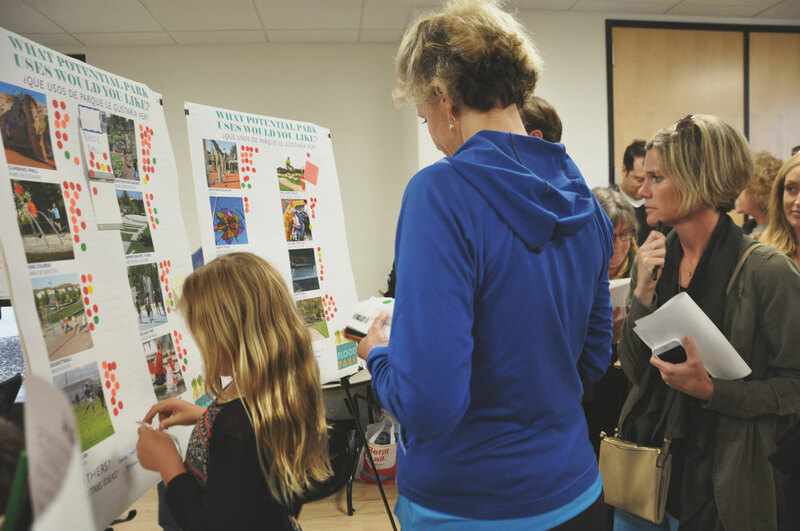 For the new Parks and Recreation Master Plan, Gates and Associates partnered with BluePoint Planning to assess the community’s needs, led the evaluations of the parks and of potential park sites, and offered recommendations for park improvements and new park development. 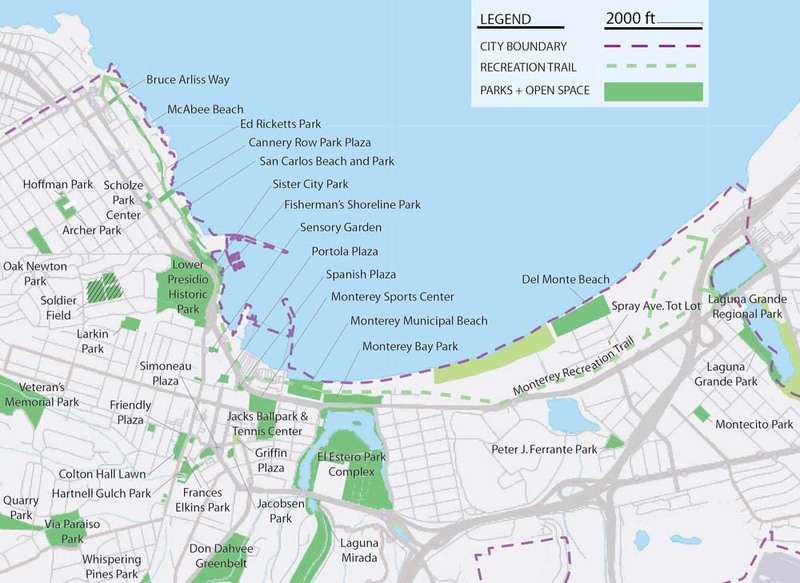 Our initial evaluation of Monterey’s 57 parks and open spaces, included 18 acres of neighborhood and pocket parks, 82 acres of community parks, 98 acres of special purpose parks and 407 acres of open space. With the prime consultant, BluePoint Planning, we participated in a variety of community outreach efforts including open house workshops, online surveys, stakeholder interviews, and a sports focus group. Along with guidelines and policies, our final Master Plan included prioritization criteria and planning level costs for park improvements and major projects.